central team; the task management is efficiently controlled, where tasks are created, the status of the tasks are monitored and digital transformation of the required task is completed by the field officer who ideally visits the client, which is supported by a template based reporting system. Therefore, digitalized process support includes the digitalization of relevant documents at source where dynamic data capturing forms are used with QR & OCR tools. With these tools instant data transfer is completed through a secured API with defined integration points.
" Mimo’s digital Safe procedures are equipped with capabilities like multi file uploading, file size optimizations, geo tagging and quality enhancements, thereby simplifying paperwork"
Moreover, Mimo plays a crucial role in performing the KYC on behalf of their clients from the financial industry using the best of KYC activities such as CIP, CID and EDD. Instant individual authentication, reduced paperwork & lower costs, enhanced operational efficiency and reduced redundancies, are all by products of the state-of-the-art digitalized process framework used. Mimo’s digital Safe procedures are equipped with capabilities like multi file uploading, file size optimizations, geo tagging and quality enhancements, thereby simplifying paperwork. the get the right goods or services to the right place at the right time and in the desired condition at the lowest cost and highest return on investment. Accordingly, as a solution Mimo offers a temporary workforce comprising of well trained field officers who perform the last mile delivery and collection in untapped pincodes across India. As for cash flow, Mimo likes to keep the operation simple by providing a closed loop wallet app to the field officers. Hardcash is collected and converted into digital form in the form of deductions from field officer’s wallet; the settlement is done the same day. Each transaction is notified to the customer, service provider and Mimo, with a transaction Id, keeping all the parties aware of the relevant information. Mimo's operations largely depend on 2 factors: state-of-the-art technology and their specialized network of field officers. As the market mostly flourishes with a digitalized approach, Mimo has expanded digital inclusion by reaching out to the rural and semi urban areas and providing a strong support system for MFIs, logistics & distribution, banking, and entertainment with their well trained field officer network. The network allows for the identification, and traceability of well placed field officers nodes who respond to the needs of customers across India. Having served giants like the Aditya Birla Group and RBL Bank with their field verification and collection solutions, Mimo Technologies has reached new heights in their 3 years of existence in the market. 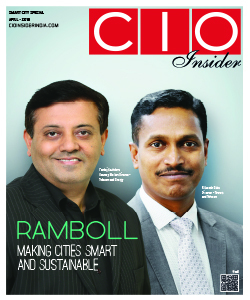 “My opinion would be that Mimo has paved the way for the future in untapped pincodes and shown that a idea which identifies strong needs not necessarily in urban area can be established and generate a potential growth market for all service providers”, Lathika Reghunathan, CEO, Mimo Technologies. Mimo has been bridging a gap between large companies and value added service providers enabling the discovery of a huge market and improves revenue and brand image, while essentially tapping in rural and semi urban areas.